For additional information on Tailored Brands, please visit the Company's websites at www.tailoredbrands.com, www.menswearhouse.com, www.josbank.com, www.josephabboud.com, www.mooresclothing.com, www.kgstores.com, www.dimensions.co.uk, www.alexandra.co.uk, and www.twinhill.com. 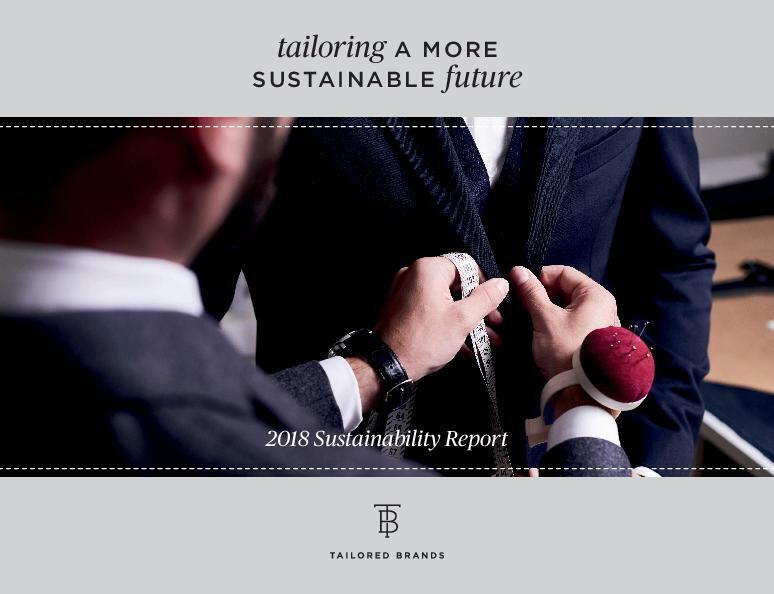 At Tailored Brands, we are committed to social responsibility and environmental stewardship throughout our Company. We believe in giving back to the communities we serve and the people that support us. We want to make a positive contribution to society and always look for ways we can do better for our customers, employees, shareholders, business partners and the communities in which we operate. We appreciate your interest in our sustainability journey, and we are excited to share our progress with you through our Sustainability Report.